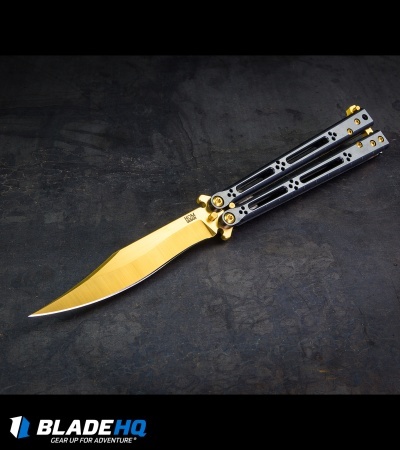 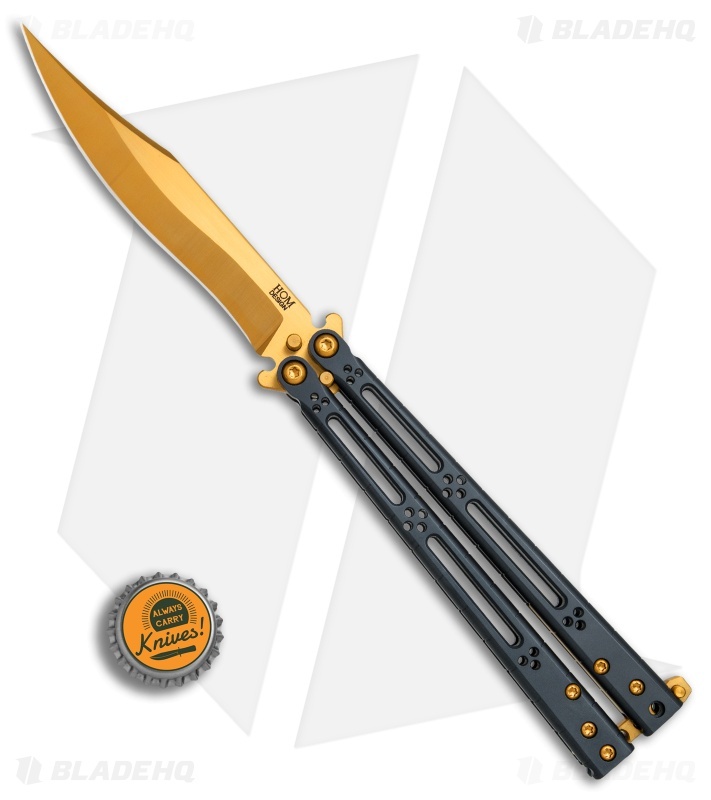 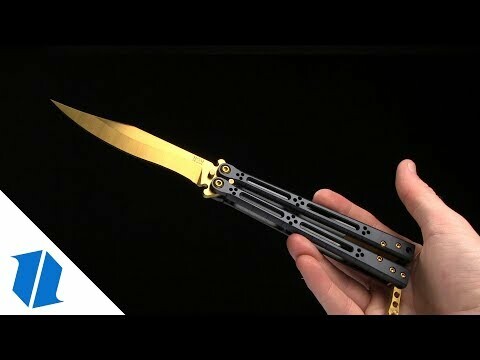 The Basilisk has a long, storied history within the balisong community and Hom Design is delivering another brilliant chapter with the Basilisk Elite. 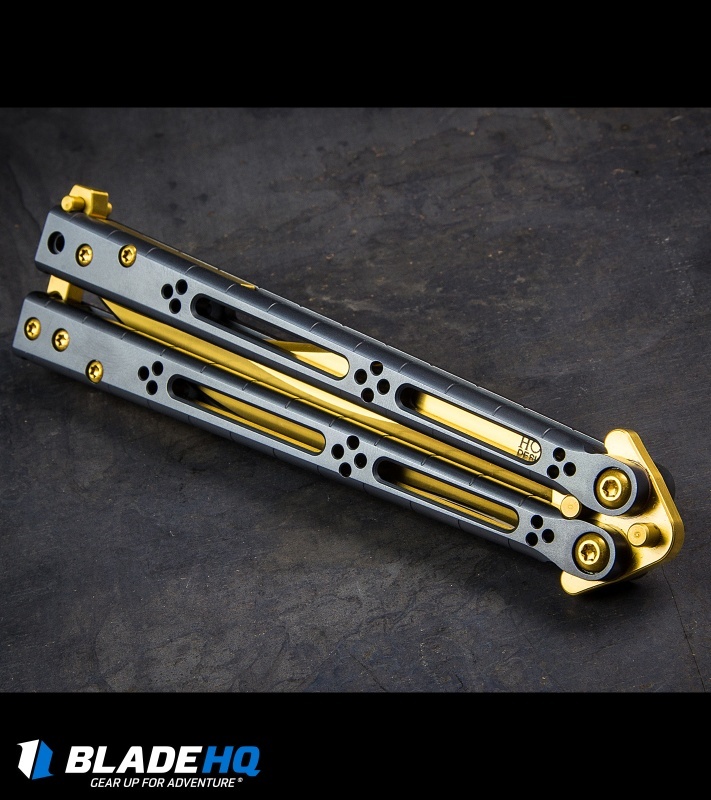 This Basilisk Elite production model features black PVD coated titanium handles with a skeletonized hole design and horizontal jimping. 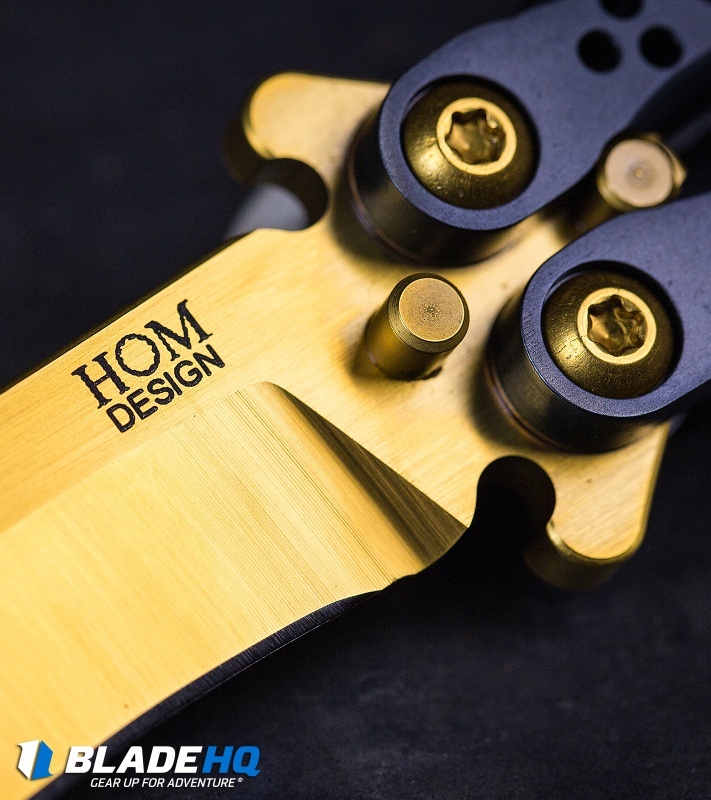 It has a bowie style blade with a recurve edge and a gold titanium nitride coating. The knife comes outfitted with matching gold TiN coated hardware, spacers, and latch. CPM-S35VN blade steel provides a high performance cutting edge. 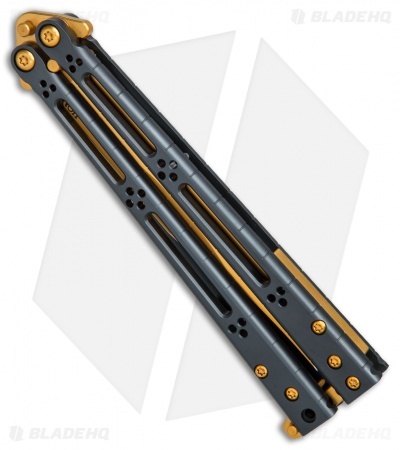 Skeletonized Ti handle construction for a lightweight, durable build. Titanium pin latch secures the handle in the open or closed position. 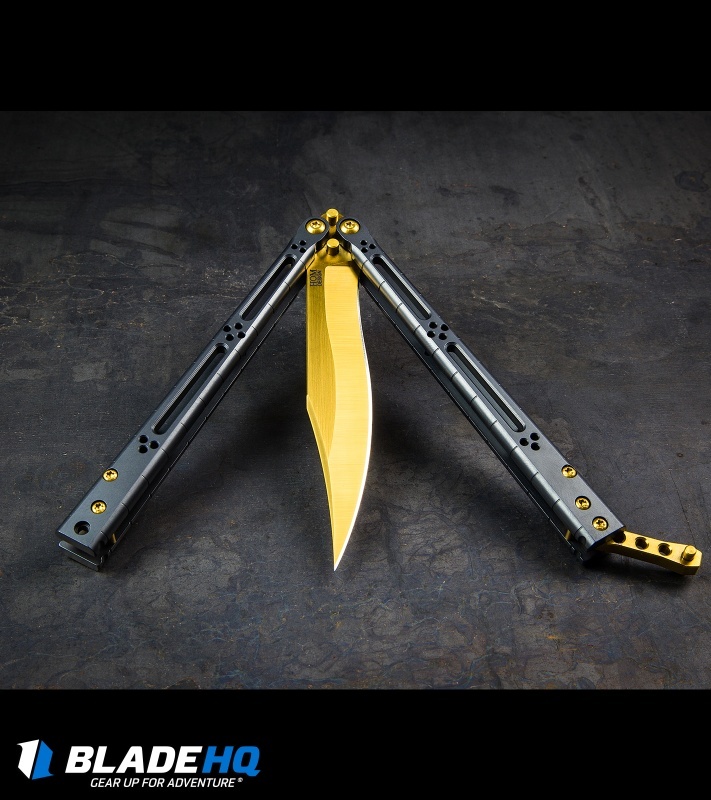 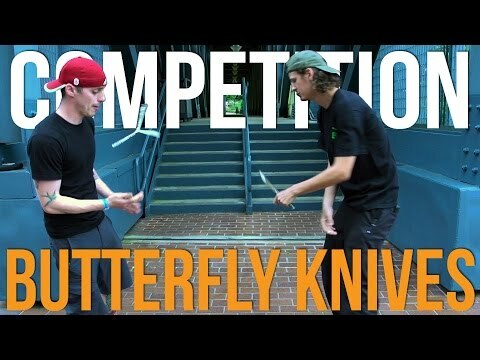 Absolutely GORGEOUS knife that flips as good as it looks! Great weight and feel, like any HOM should have!